Saide, Barry. "Advice for New Teachers: Dream BIG." Web blog post. The Art of Teaching. McGraw-Hill Education. 4 August, 2017. Saide, Barry. "An Educator's North Star." Web blog post. The Front Page. NJASCD, May 2017. Saide, Barry. "Five Strategies Leaders Can Use to Stay Out of the Weeds." Web blog post. Finding Common Ground. 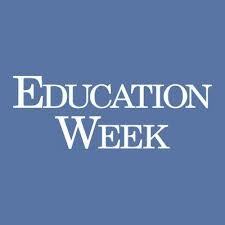 Education Week, 26 April 2017. Saide, Barry. "Educational Resilience." Web blog post. The Art of Teaching. 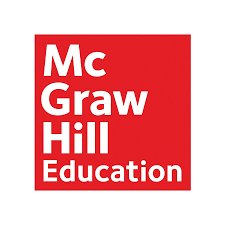 McGraw-Hill Education, 5 April 2017. Saide, Barry. "Three Simple Principles for Effective Teaching". Web blog post. TeachThought. TeachThought, 16 November 2016. Saide, Barry. "They Are Who We Thought They Were". Web blog post. ASCD Edge. ASCD, 19 October 2016. Saide, Barry. "From Think Tank to Do Tank: Making Great Ideas Happen". Web blog post. ASCD Inservice. ASCD, 15 September 2016. Saide, Barry. "Harnessing the Power of Teacher-Leaders". Web blog post. ASCD Inservice. ASCD, 20 April 2016. Saide, Barry. "Sneak Peek: Ignite Me". Web blog post. ASCD Edge. ASCD, 27 March 2016. Saide, Barry. "Awaken the Whole Child". Web blog post. ASCD Inservice. ASCD, 1 March 2016. Saide, Barry. "The Three Musketeers". Web blog post. ASCD Edge. ASCD, 18 February 2016. Saide, Barry. "Building Empathy in Classrooms and Schools". Web blog post. Classroom Management. Education Week, 20 January 2016. Saide, Barry. "The Data That Drives You". Web blog post. ASCD Edge. ASCD, 28 November 2015. Saide, Barry. "What Classrooms Can Learn from Reality Shows". Web blog post. TeachThought. 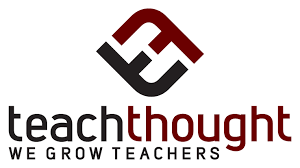 TeachThought, 11 November 2015. Saide, Barry. "What’s My Signature". Web blog post. ASCD Edge. ASCD, 28 September 2015. Saide, Barry. "Be Intentional". Web blog post. ASCD Edge. ASCD, 30 August 2015. Saide, Barry, "Change Begins with Me". Web blog post. ASCD Edge. ASCD, 15 July 2015. Saide, Barry. "ECET2: The Power of Connection". Web blog post. K-12 Education. Bill and Melinda Gates Foundation, July 2015. Saide, Barry. "What Our Classroom Walls Communicate" Web blog post. 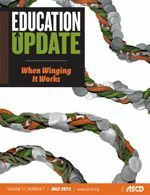 ASCD Education Update. ASCD, July 2015. Saide, Barry. "Honor the Struggle". Web blog post. ASCD Edge. ASCD, 15 April 2015. Saide, Barry. "Built to Last". Web blog post. ASCD Edge. ASCD, 14 March 2015. Saide, Barry. "The Three C’s: Collaboration, Communication, and Critical Thinking". Web blog post. The Front Page. NJASCD, March 2015. Saide, Barry. "The Fighter". Web blog post. ASCD Edge. ASCD, 31 January 2015. Saide, Barry. "The Importance of Asking Text-Dependent Questions". Web blog post. Teachers for High Standards. Student Achievement Partners, 3 December 2014. Saide, Barry. "Love is All You Need: Reflections on the ECET2 Experience". Web blog post. Impatient Optimists. 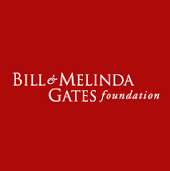 Bill and Melinda Gates Foundation, 18 November 2014. Saide, Barry. "Another Brick in the Wall". Web blog post. ASCD Edge. ASCD, 06 November 2014. Saide, Barry. "Comfortable Learning Environment: Soften the Blow of Accountability?" Web blog post. Finding Common Ground. Education Week, 30 October 2014. Saide, Barry. "Slogans Are the New Black". Web blog post. ASCD Edge. ASCD, 06 September 2014. Saide, Barry. "The Bridge to Whitby". Web blog post. ASCD Edge. ASCD, 10 August 2014. Saide, Barry. "REMINDing Me What’s Important". Web blog post. ASCD Edge. ASCD, 8 August 2014. Saide, Barry. "Leadership Matters: The Dual Role of Teacher and Leader". Web blog post. Finding Common Ground. Education Week, 29 July 2014. Saide, Barry. "Reflect or Refract: Top Three Tips for the Reflective Educator". Web blog post. ASCD Whole Child. ASCD, 10 July 2014. Saide, Barry. "Relationships Matter: Are We Too Worried About our Rate of Return?". Web blog post. Finding Common Ground. Education Week, 1 July 2014. Saide, Barry. "Learn, Grow, Change: A Fifth Grade Perspective". Web blog post. Finding Common Ground. Education Week, 18 June 2014. Saide, Barry. "Ferroni Matters". Web blog post. ASCD Edge. ASCD, 29 May 2014. Saide, Barry. "What are Your Non-Negotiables". Web blog post. ASCD Edge. ASCD, 18 May 2014. Saide, Barry. "Impressions Leave a Mark". Web blog post. 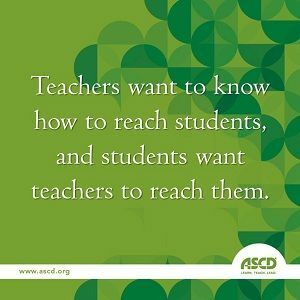 ASCD Edge. ASCD, 14 May 2014. ​Saide, Barry. "Doggy Bag". Web blog post. ASCD Edge. ASCD, 26 April 2014. Saide, Barry. "The Obsessive Educator". Web blog post. ASCD Edge. ASCD, 11 April 2014. Saide, Barry. "Shiny Happy People". Web blog post. ASCD Edge. ASCD, 2 April 2014. Saide, Barry. "Meet Student Needs with Backchanneling". Web blog post. ASCD Inservice. ASCD, 24 March 2014. Saide, Barry. "No Shame in My Game". Web blog post. ASCD Edge. ASCD, 20 March 2014. Saide, Barry. "Creating a Roomful of Leaders". Web blog post. ASCD Edge. ASCD, 17 March 2014. Saide, Barry. "99 Problems But A Mentor Ain’t One". Web blog post. ASCD Edge. ASCD, 01 March 2014. Saide, Barry. "ECET2: We Are Family". Web blog post. ASCD Edge. ASCD, 23 February 2014. Saide, Barry. "Find the Good". Web blog post. ASCD Edge. ASCD, 13 February 2014. Saide, Barry. "Be Excellent to Each Other". Web blog post. ASCD Edge. ASCD,6 February 2014. Saide, Barry. "Be Brave". Web blog post. ASCD Edge. ASCD, 28 January 2014. Saide, Barry. "Put Yourself in the Center of the Circle". Web blog post. ASCD Edge. ASCD, 11 January 2014. Saide, Barry. "You’re Fired!". Web blog post. ASCD Edge. ASCD, 27 December 2013. Saide, Barry. "A Moment on the Couch". Web blog post. ASCD Whole Child. ASCD, 10 December 2013. Saide, Barry. "Education Selfies". Web blog post. ASCD Whole Child. ASCD, 27 November 2013. Saide, Barry. "I Am An Educator: The Repeating Line". Web blog post. ASCD Edge. ASCD, 8 November 2013. Saide, Barry. "It’s All About the Charging Station". Web blog post. ASCD Edge. ASCD, 24 October 2013. Saide, Barry. "The Technological 5K". Web blog post. ASCD Inservice. ASCD, 24 October 2013. Saide, Barry. "Learn. Teach. Lead. This Time with Passion!" Web blog post. ASCD Whole Child. ASCD, 4 October 2013. Saide, Barry. "Taking the Parents Back to School". Web blog post. ASCD Edge. ASCD, 26 September 2013. Saide, Barry. "Are You a Technophile or Technophobe in the Classroom?". Web blog post. ASCD Inservice. ASCD, 4 September 2013. Saide, Barry. "Learning from a Two-Year-Old". Web blog post. ASCD Edge. ASCD, 25 August 2013. Saide, Barry. "Why I Teach, Why I Lead: The Repeating Line". Web blog post. ASCD Edge. ASCD, 18 August 2013.